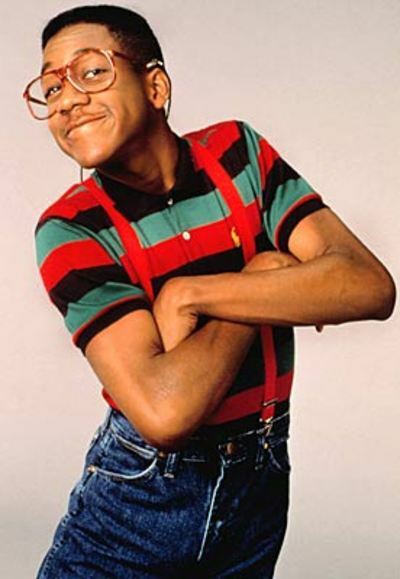 RYAN LESLIE DIAMOND GIRL THE MOVIE STEVEN URKEL OR STEFAN URQUELLE? Singer Ryan Leslie can add the title of director to his resume. The R&B singer and Harvard University alum wrote and directed "Diamond Girl the Movie" and debuted the clip on Youtube. The plot for the film has espionage and a "Bourne Identity" type storyline. We just wonder about the whole thing because for some reason we don't see Ryan Leslie as a "cookie cutter R&B guy" like Usher, Maxwell or Chris Brown. Maybe it's Ryan Leslie's intellect, the glasses and hearing him talk about his perfect SAT score and 4.0 GPA that makes us think of Steven Urkel who was the nerdy neighbor from Family Matters. Sometimes we see Ryan Leslie as a dead ringer for Stefan Urquelle. Click here to see the Diamond Girl Music video. Here is a message from Ryan Leslie to his fans. So here it is. I shot this movie to express my many sides as an artist. It's my acting debut, my screenwriting debut, my (co) directorial debut, my scoring debut, my movie producing debut. In short - it's everything I could possibly give. It's a start, and I know there's plenty of room for growth! I worked with an eager team that also was very new to filmmaking and I am proud of and thankful for everyone who invested their time, talent, and energy to make this happen. Why a short movie? Besides the fact that this idea would have haunted me if I wouldn't have produced it, I wanted to exemplify the following: This is evidence that if you have an idea, you should see it through, even if it means assembling a team that includes a film student from another country... Give it all you've got and learn from the experience. That's what I've done here. Most of all, don't let anyone limit you by telling what you are and are not capable of doing. Just do what you believe in and believe in what you do. Remember it's entertainment so people will (and are entitled to) have their opinions. Despite their feedback, be creative and continue to grow. For all of you movie lovers that want to know the full story, here it is: A Military Intelligence Agency has been assigned to recover a diamond that's been stolen from a very powerful Russian family. They suspect that a notorious dealer has been hired to sell the diamond on the black market. After shadowing her for a few weeks, the agency finds that she's very close to a certain music producer. They decide to recruit him into their service, and this is the story of how he manages to help them recover the precious stone. - - The final scene was taken from the Diamond Girl photo campaign that I shot. Special thanks to Pieter Henket (photographer), Kim at SNAP Pro (production manager), Inge Fonteyne (stylist), Scott Lipps at ONE Model Management (Irina's Agency), Keith Custodio (production manager for NextSelection), Cameron Smalls & Sam Kochman (extras). God bless and I encourage you to subscribe and share with your friends. Album in stores September 16th, 2008!